Gift medal for wife with her portrait on birthday. The text along the edge is: “To beloved wife from husband”. 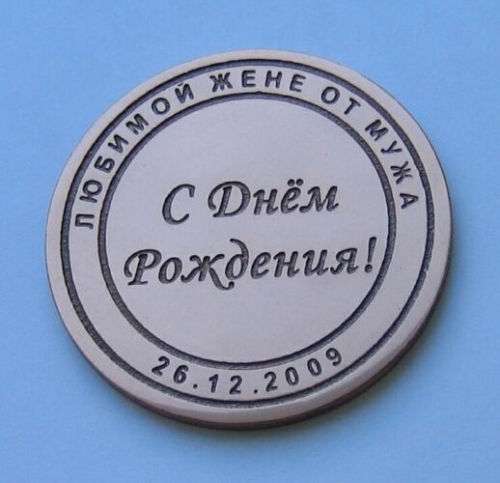 The text in the center is: “Happy Birthday!”. Portrait on the other side.